Picked this up over the weekend. Really like it. Can’t tell if it’s meant to be played at 33 or 45....any help? Am I the only one who can hear crackles on both sides? What a banger anyway tho! Got 2 Be Loved is a such a huuuuuuge tune. Staple in my bag. It's kind of weird how big this record got. It's cool but not really as crazy as the numbers of wants and haves here would indicate. 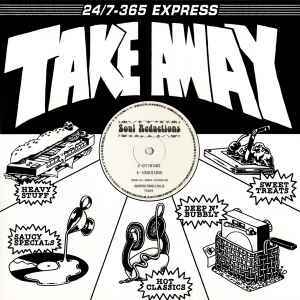 All the other records on Take Away are pretty nice too but far less known/in demand. It always pops up as a Recommendation here on discogs though so I guess it'll keep going. "Got To Be Love" is a really amazing disco-song :) a hell of a track! Hola to all those who love this .. can any one recommend anything similar vibe / disco house / euphoric like this / (soundstream last dance with me terriroty - thanks in advance..
Its all about "A Rose is a Rose". Will be heard for years to come. Epic disco jammy. The section right after the vocal is mind bending. Future classic right here. Do not sleep on the B-Side.